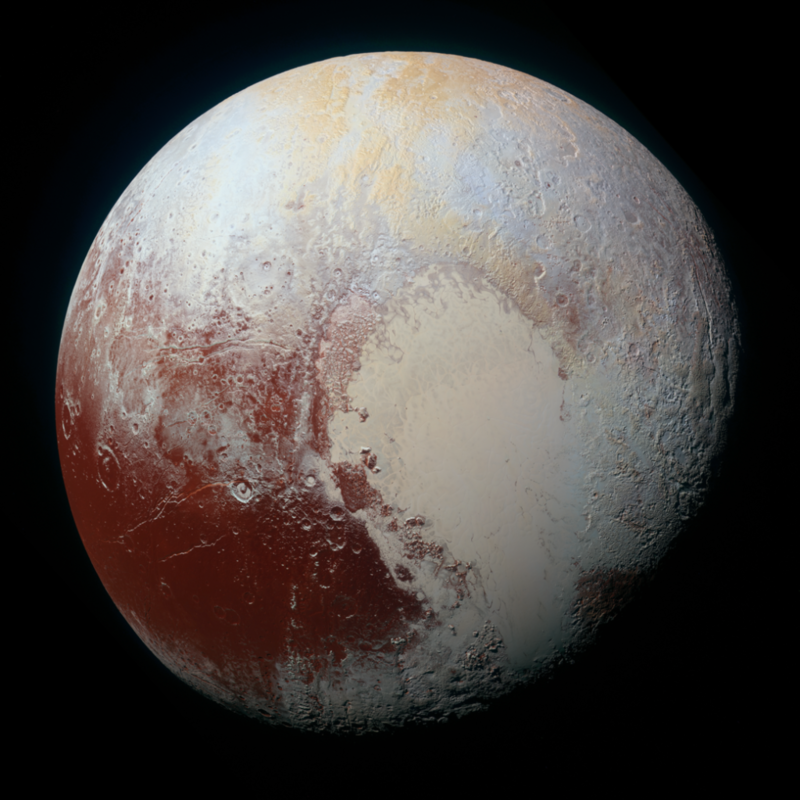 September 24, 2015 – NASA’s New Horizons spacecraft captured this high-resolution enhanced color view of Pluto on July 14, 2015. The image combines blue, red and infrared images taken by the Ralph/Multispectral Visual Imaging Camera (MVIC). Pluto’s surface sports a remarkable range of subtle colors, enhanced in this view to a rainbow of pale blues, yellows, oranges, and deep reds. Many landforms have their own distinct colors, telling a complex geological and climatological story that scientists have only just begun to decode. The image resolves details and colors on scales as small as 0.8 miles (1.3 kilometers). The new image was obtained using three of the color filters of the “Ralph” instrument, built by Ball Aerospace & Technologies Corp. of Boulder, Colorado. Ball’s 23-pound instrument hosts a suite of image detectors boasting resolution 10 times better than the human eye while using only seven watts of power – about the same as a night-light. Ralph is designed to help scientists map the surface geology of Pluto and its moons, and investigate Kuiper Belt objects. This image should be viewed in its entirety. Visit the image online and click on Pluto to enlarge the details.